I fall asleep at inopportune times. I was hoping a self-diagnosis of narcolepsy was in order, but reading about it makes it clear that what I have isn’t that severe. It’s more like I get uncontrollably sleepy at theaters or in slow meetings. Pretty much 80% of the time I go to a movie, a play or other dark room event I end up falling asleep. I can’t control it. Now that I’m married, Brangien gets to watch me (as happened 2 nights ago) fall asleep in the front row of a friend’s one-person play. David, if you’re reading this I really enjoyed your play … even though I took a series of naps while you were undoubtedly looking at me in the front row. I nod off at the majority of movies I attend even though I love movies. I once slept through most of Terminator 2. I have a particularly hard time around the hours of 1pm-3pm and 6pm-11pm. I have twice fallen asleep while a lawyer was talking to me about contracts that very much involved my best interests. I truly can’t control the sleep. It feels like a chemical molasses suddenly entering my veins and there’s no fighting it off no matter how hard I try. I bring all this up because people notice me sleeping at events and I wanted to throw up a post to say publicly that it’s not a comment on your play, or your musical performance. If I have to sit down and watch a performance, there’s a good chance I’ll take a nap no matter how awesome the show. Brangien’s uncle Mac graciously described me as “binary” as I fell asleep while he was talking to me in his car. 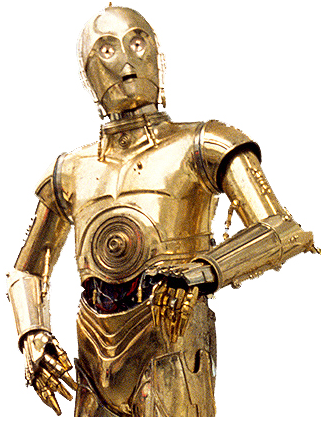 My brother Greg calls me C-3PO based on the scene in Star Wars where Obi-Wan first takes Luke and the droids back to his hideout and C-3PO says, “Sir, if you’ll not be needing me, I’ll close down for awhile”, and then proceeds to instantly power down. So nice to have 2 Alaskans chime in with help (I rarely get comments on my blog). I can tell you that I know diet is related, but I’ve lived with C-SleepyO long enough to know it’s not the only factor. Example: if I’m headed to a movie and haven’t eaten or “panic” eat before, I’m very likely to crash. My dad was a diabetic (yes, I’ve been checked recently) and my mom is hypoglycemic. Crazy sugar genes! To both your points, if I eat better and often during the day I have a much better chance of holding it together. So, I’m agreeing with you both in a way. Also, I’m an early riser. Got up at 5:15am this morning as that’s when my internal clock goes *beep*. So, another part of this is that by 3pm I’ve already been going for a while and a nap is probably in order. As an adult in North America, I don’t get many chances for that nap so when my body is given the opportunity to shut down in a dark, quiet place I think it takes advantage of the opportunity. This is all to say there are a few contributing factors to my sleep madness (don’t forget seasonal changes—winter is tough, or the fact that I’ve been told I’m an extroverted introvert). Then, there’s the whole robotic-task-fullfilment part of me that Brangien has nicely pointed out (I tend to get bored when I’m not focusing on a task). Thanks for the dietary reminders, Andrea & Kelly!